In the world of email marketing companies, there is a stream of international expansion going on with the larger players. Both fortification of offices in other regions, tapping into engineering power across the world, as jumping into new growth markets by acquisition. India looks like an attractive market. Lyris Inc. an email marketing company, announced just last week that they are expanding into India through a strategic partnership with iCubes. Icubes has offices in Cochin, Bangalore and New Delhi. The iCubes team will be implementing the Lyris HQ email solution, to develop and deliver email marketing campaigns with their customers in India. “A local presence in India is an important move for Responsys,” said Casacuberta, Chief Technology Officer for Responsys. A bit further back, in November 2010, Experian announced expansion into India as well with the launch of Experian CheetahMail in the region. Their goal was to enable domestic and international businesses operating from India to use Experian’s global email marketing service. 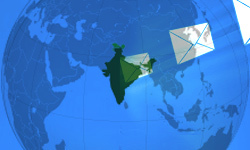 We see that email marketing companies have several important reasons to go into India. The increasing use of Internet and email in the region accounts for a huge growth market. As opposed to the native markets in europe and America, which have lost the potential for that kind of growth. All email marketing companies are looking for ways to increase their revenue. This is not only with current and new clients (in new markets), it’s also by cutting development costs . The cost of email software development there with skilled local engineers is also low, makes it interesting to set-up a hub there.